2Lt Carl M. Heleen (P)(KIA) - Mission 234 flown as CoPilot with Combat Orientation Pilot 2Lt Franklin F. White and his crew. Mission 235 flown as First Pilot with 2Lt John N. Peterson, an experienced CoPilot with the 2Lt Cecil M. Miller Crew. Other four missions flown as First Pilot with his own assigned crew. Sgt Henry H. Brogani (WG) - Removed from the 2Lt Heleen crew before arrival at Molesworth when second crew Waist Gunner was removed from 303rd BG(H) crews. Flew no 303rd BG(H) combat missions. 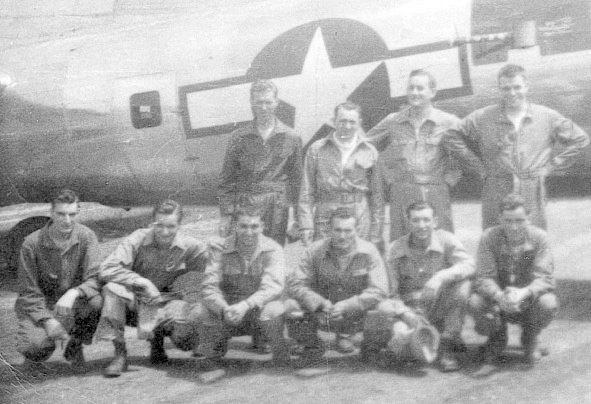 (KIA /POW) 358th BS Crewmen were on the 12 September 1944 Mission #242 to Eisenach, Germany in 427th BS B-17G #42-32027 Betty Jane (GN-F). The B-17 was hit by intense flak when flying over Merseburg, Germany. When last seen Betty Jane had two propellers feathered and had dropped out of formation still under control. The B-17 was abandoned shortly thereafter at about 1,500 ft. altitude. 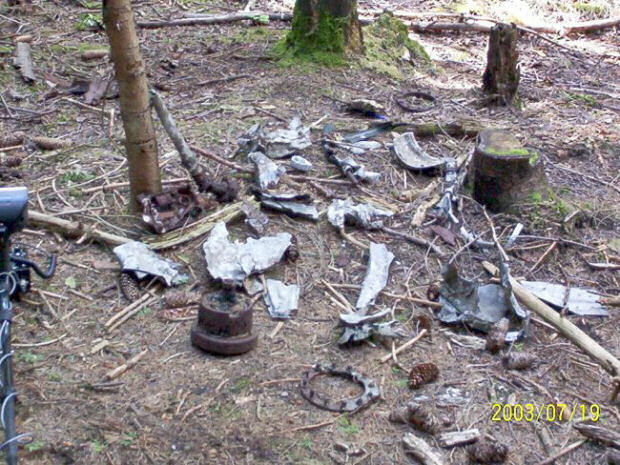 The parachute of Lt Carl H. Heleen failed to open. He was killed upon impact with the ground. Sgt Jennings G. Brown evaded capture for about six weeks, He was captured and made a POW when he had almost reached friendly territory. Brogani was not on the 12 September 1944 mission as the crew had been reduced to nine men.